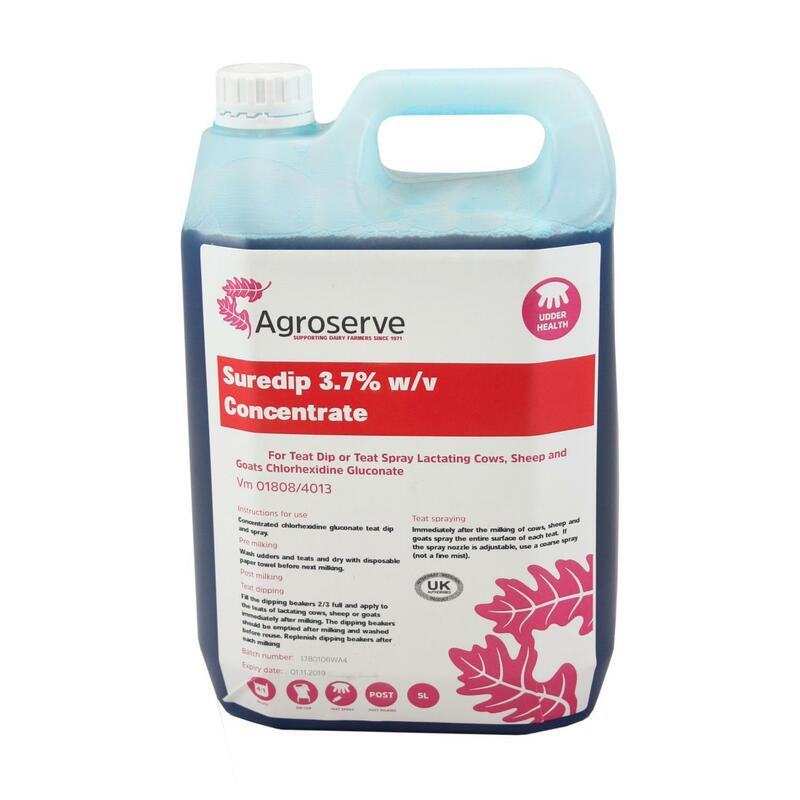 This Agroserve Suredip 4:1 Concentrated Teat Dip comes in a 5 litre container and is a teat dip or teat spray for lactating cows, sheep and goats. When used as a teat dip or spray Suredip Concentrate is an aid in the prevention of the spread of mastitis in lactating cows, sheep and goats. This is a concentrated chlorhexidine gluconate teat dip and spray. - Teat dipping: Fill the dipping beakers 2/3 full and apply to the teats of lactating cows, sheep or goats immediately after milking. The dipping beakers should be emptied after milking and washed before reuse. Replenish dipping beakers after each milking. - Teat Spraying: Immediately after the milking of cows, sheep and goats spray the entire surface of each teat. If the spray nozzle is adjustable, use a coarse spray (not a fine mist).